Sambuca (Sam) is a 15.3HH 16 year old bay gelding. 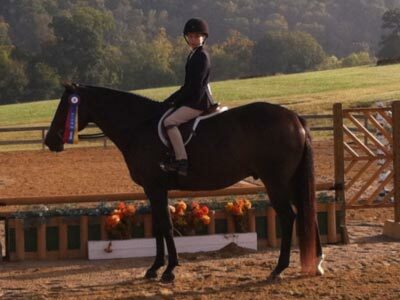 He is a registered Appendix Quarter Horse showing in short/long stirrup and pre-child/adult hunter divisions. Sam has numerous annual championships for short-stirrup and pre-child hunter divisions in Georgia and Middle Tennessee Hunter Jumper Associations. He knows and loves his job making him a great teacher with the sweetest personality and exceptional ground manners. For show record, view USEF #5234849 and MTHJA #2039.